Off the southern coast of present-day Sri Lanka lie two great coral reefs and accompanying rocks called the Great and the Little Basses. Unlike the Arguin Bank that the Medusa foundered upon, these formations along Ceylon’s shores, as it was known in those days, were well-documented and mapped. Yet time and again, ships fell victim to their deadly projections. But that didn’t account for the number of wrecks that occurred at nighttime, and to ships that were well out to sea. Or, so they thought. 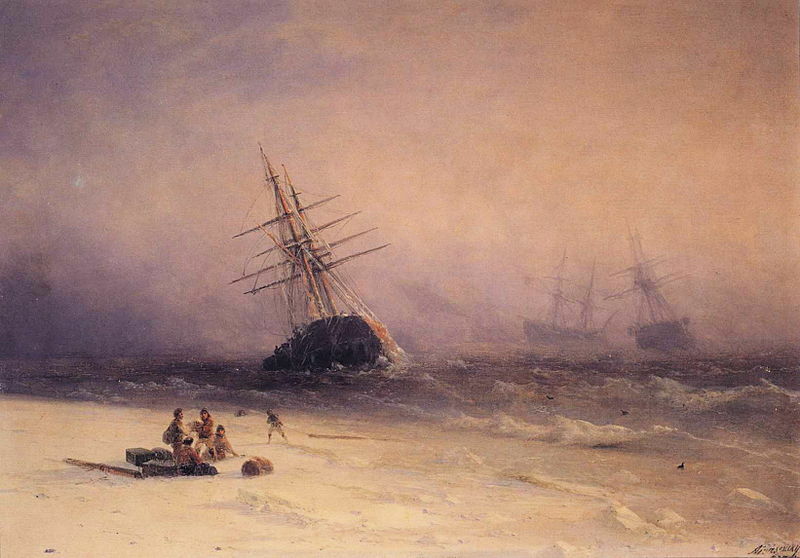 On several occasions, from 1792 to 1804, English ships believed to be well away from the treacherous reefs would suddenly find themselves during the night observing breakers, the signal they were among the rocks. It was as if the alien shore had lured their vessels toward danger like the Sirens of old. The Corona was a forty-gun frigate of the Hortense class, built for the French Navy. 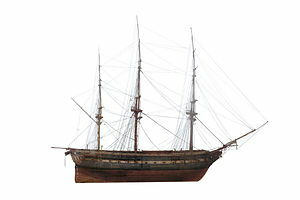 Like her sister ship the Caroline, she had been captured by the British Navy during the Napoleonic Wars. Corona’s decks were covered with the blood of her dead captain and 200 of her crew before she was set ablaze by her captors. Pulled to Malta, she was repaired and renamed the Daedalus, now in the Prince Regent’s service. She was given to the command of Captain Murray Maxwell, grandson of the Second Baronet of Monreith. She nearly ruined his naval career. Daedalus was doomed. To haul her off the reef would sink her faster than leaving her where she was. Almost to the minute that everyone was evacuated, she keeled over and sank. This entry was posted in Regency, Uncategorized and tagged Big and Little Basses, Ceylon, HMS Daedalus, Wreck of the Medusa by Angelyn. Bookmark the permalink. thanks, Nancy–your nautical profile goes with the post! Good decision to abandon her. Great post, Angelyn!! Tweeted and shared on FB. Yes–I believe his conduct was later criticized for the position of the Daedalus when she ran aground. More on that next post. By the way, saw a lovely profile of your Anna book in the Kensington handout we received today at a chapter meeting. Wonderful post! Love historical maritime information! Austen’s Persuasion is verily haunted by the sea and the men who sail upon it. Everything nautical for me, these days. Thanks for stopping by! Fascinating info! I tweeted and shared. I’m so glad you liked it–and appreciate your sharing this post with others! What an interesting post, Angelyn. Great information! Hello, Barbara–so nice to see you!